Due to a scheduling error, Meadowridge Ministeries concert has been rescheduled to March 18, 7pm. We are excited to head to Broken Arrow, OK. this weekend. If you are in the area or want a great night of music, make plans to head that way. 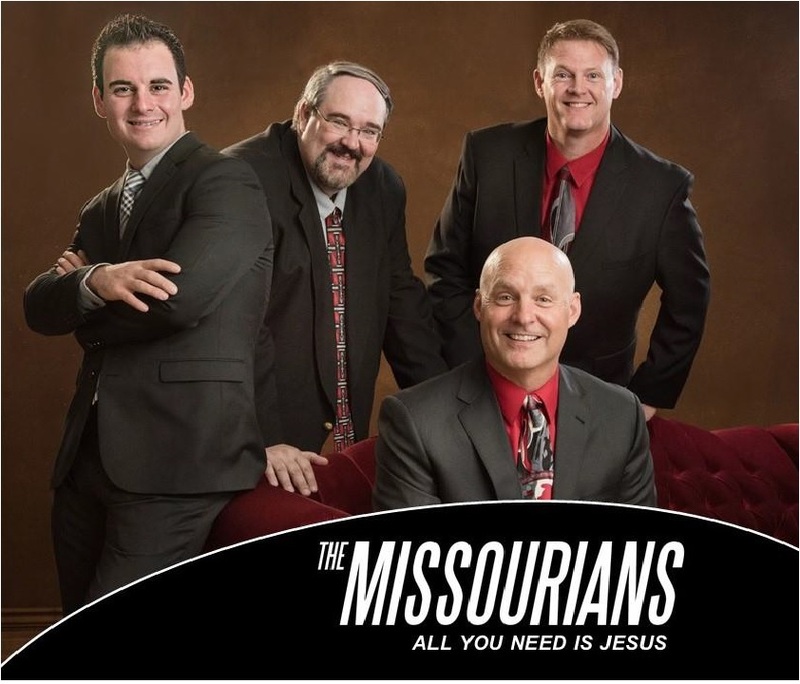 The night will feature southern gospel legendary family The Hinsons. Make plans to catch us in concert one last time in 2017. 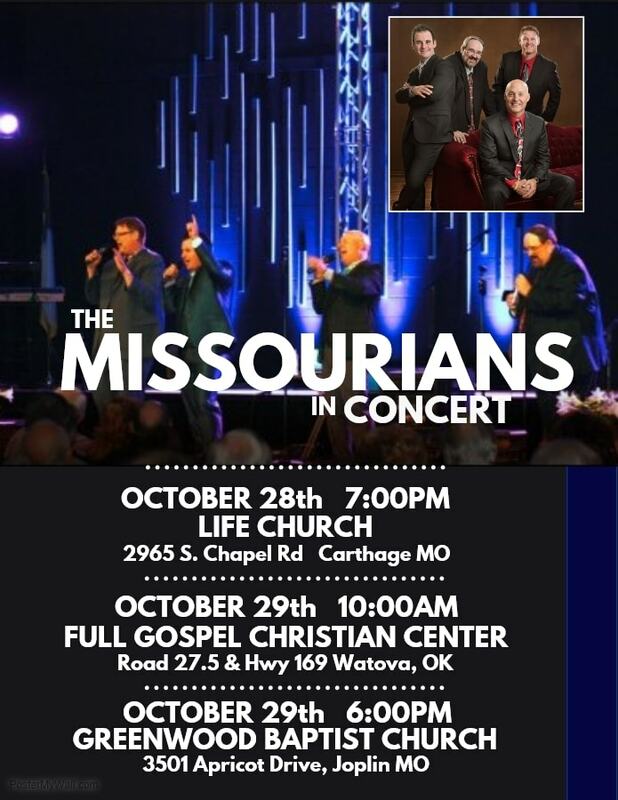 We will be appearing at First Baptist Church in Carthage, MO. this Sunday December 3 at 6pm. There will be Christmas carols and we will be doing part of our Christmas set. We are proud to announce that we will be returning to Silver Dollar City in 2018. We will be kicking off the Southern Gospel Picnic August 23 – 24 2018 at the Dockside Theatre. Make plans now to come and spend some time with us. It’s a great time and we look forward to seeing you there. It looks like the tradition of singing gospel music will continue in the Wade family. Three generations are now represented with Troy, his daughter Whitney and granddaughters Rylie (9) and Emma (6). This is the first time they sang together and it was a proud moment for Troy and Diane. We will be performing at multiple locations this weekend. Saturday Oct. 28 was scheduled to be an outside event but due to the weather, the concert has been moved inside. All other appearances are indoor events as well. Want to know where we are gonna be or the latest things happening with us? 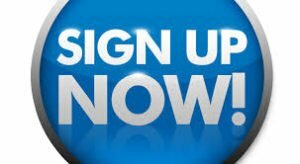 Sign up for our email blasts! 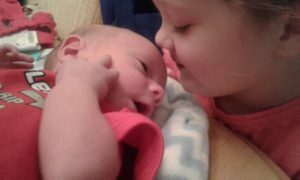 Patrick & Rita have a new grandson in their family. 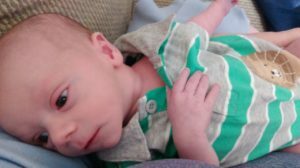 Daughter Kristin & her Husband David had a 6.5lb/19″ baby boy at 9:22am on September 16th. 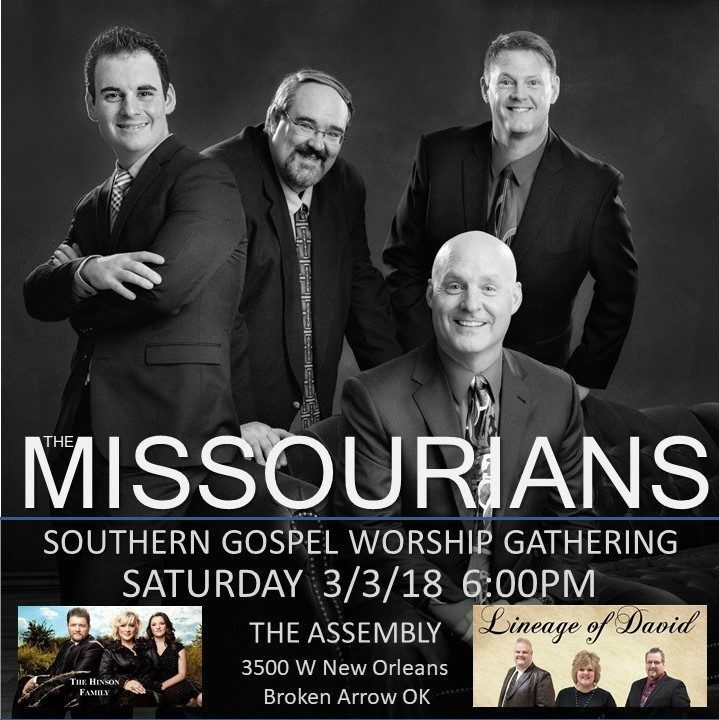 We are looking forward to being back in Webb City, MO. for another worship service at the Nazarene Church. We are praying that God will move in the service and lives be touched. If you haven’t seen the group in a while we encourage you to come out and receive a blessing. We are planning for a great weekend. Saturday Sep 9 we will be guests at the outdoor neighborhood sing hosted by Peace Lutheran Church on north St Louis in Joplin. Food at 5pm and concert at 6. It’s gonna be great weather so come out and join us. Sunday Sep 10 @ 6pm we will be sharing the gospel with Troy’s home church, First Baptist in Galena, KS. We travel to churches all across the four state area and it’s always great to come home.